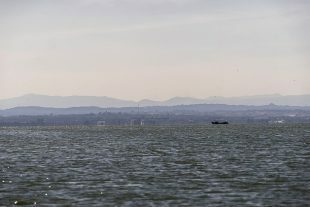 The natural lagoon of the Albufera extends to the south of Valencia, separated from the Mediterranean Sea by a narrow strip of sand. It’s the largest natural lake in Spain, and supports a diverse ecosystem of birds, fish and plant life. 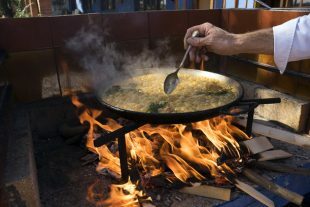 With its abundance of rice fields, paella restaurants, and traditional houses called barracas, the Albufera has become an important piece of Valencia’s cultural identity. 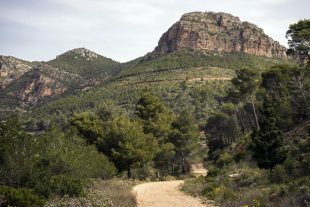 Valencia is a relatively flat city, but it’s surrounded by mountain ranges. The closest is the Sierra Calderona, an hour’s drive northwest. We spent a day hiking in the hills and ended up at the Mirador de Garbi, a natural rocky outcrop with astounding views of the Mediterranean Sea.